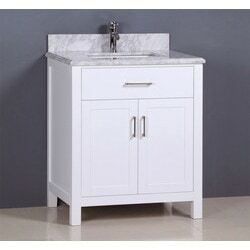 Golden Elite 30-in Carrera Vanity. Cabinet and Marble Countertop with sink included, pre-drilled with a single hole. Faucet, mirror and side cabinet sold separately. Golden Elite’s ever-popular Carrera vanity collection is the perfect design for the taste that craves a traditional yet fashionable look. Carrera’s 10-coat hand-painted lacquer gives it a rich and vibrant finish that is second to none. Its warmth and character provides a stunning look to complete any bathroom - whether you're starting something brand new, or just want to spruce up an older design. Carrera features a solid-hardwood construction, MDF side panels and drawers with soft closing mechanisms for the sheer simplicity of use. 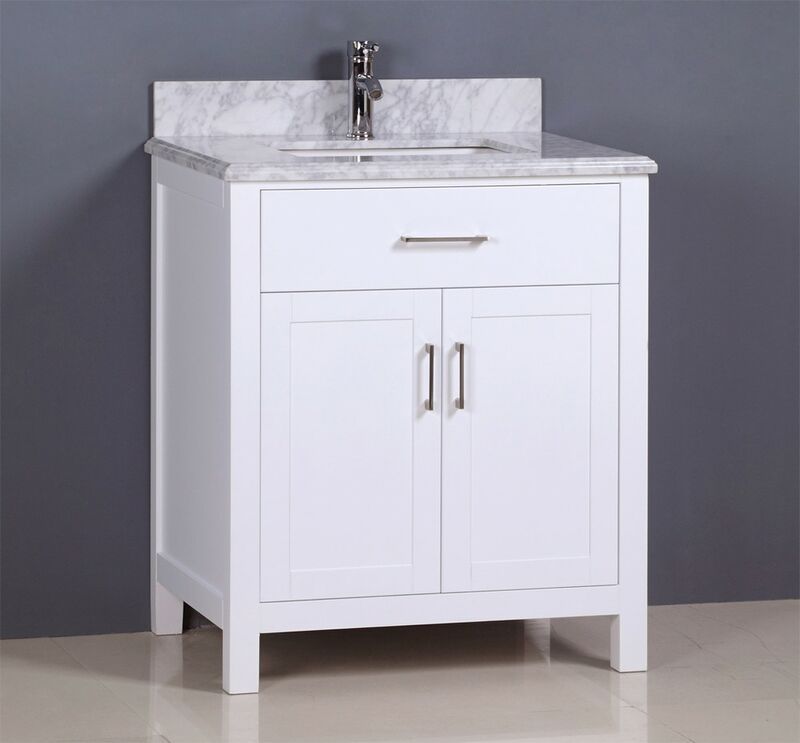 It's meticulously chosen white Carrera Marble top demonstrates excellence in quality and craftsmanship and comes polished for an enhanced appearance. Known for simplicity, the Golden Elite Carrera collection comes fully equipped with a pre-mounted CUPC certified under-mount porcelain sink, 4-in high matching Marble backsplash, pre-drilled for Single faucet fixtures, adjustable feet and pop-up drain.